2008, and their popularity has increased ever since. Users find using a netbook very comfortable while on the move and the convenience factor has outdone anything users can get from laptops or any other handheld device. The standard operating system on netbooks ranged from Windows XP to Linpus Linux Lite. But more recently, users began to use Windows 7 regular version for their netbooks. 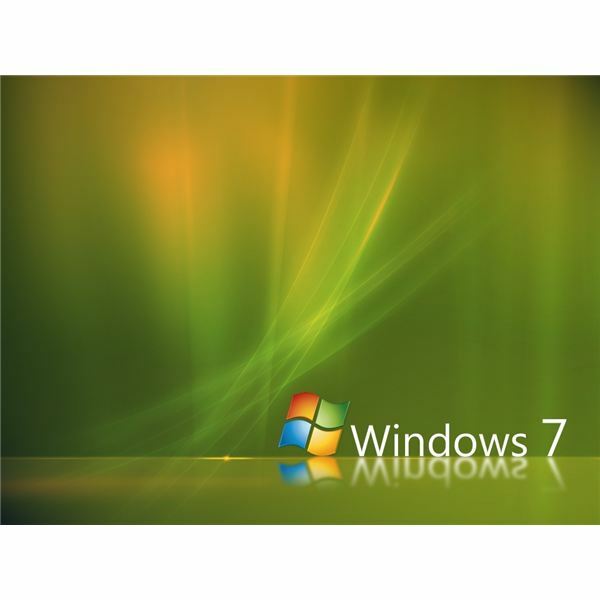 The problem arises that Windows 7 is developed for desktop/laptops, and lower power netbooks require adjustments to use Windows 7 in an optimized manner. Hence, there are ways for Optimizing Windows 7 on your Netbook, described below. You might have software on your Netbook that you never use. Software consumes computer’s resources and can cause it to slow down. Some programs run on system startup, some are always running in the background and some software run occasionally at different times to perform a task like automatic update, etc. So the best way to prevent unnecessary software to use your Netbook’s resources is to completely uninstall them from your computer. The way to go about it is to go to the Control Panel and click on the ‘Programs and Features’ menu. Then remove everything you find that is not needed in your usage. Always make sure you choose the necessary software when you are on a downloading and installing binge. If you choose heavy image editing software, or 3D programming ones on your tiny Netbook, then obviously, your user experience will be drastically downgraded. Make sure you use the Windows 7 classic theme. This is because the rendering process for a fancier theme is complex and takes more time. Using a default theme will ensure that your graphic hardware is not burdened at all. Simply right click on your desktop, click ‘Personalize’ and then click on Windows 7 basic or classic. Your netbook should have all the latest drivers installed. The reason is that using an optimized driver saves a lot of resources as compared to using an older version. Also, the battery power dissipation depends on whether the latest driver has been installed or not. Just visit your netbook’s manufacturer’s official website and start downloading the latest drivers. Also, it is a good idea to download your netbook manufacturer’s power management tools so that your resources are manipulated to save power. A computer’s memory plays a big role in the performance of your system. If you are experiencing slow Windows startup or shutdown, consider upgrading your Netbook’s RAM. Also, if you run heavy software on your Netbook like 3D animation, image rendering or play 3D games, you can get better performance if you get a higher capacity memory. One good tip is to do away with Aero, even though netbooks can support it. But since the strain on CPU is greater, thus it is advisable to disable it. The way to do it is to go to search in te start menu, type ‘adjust the appearance’ in it and click ‘Appearance and Performance of Windows’. Then turn off irrelevant options like glass/preview effects, Enable Aero Peek, Enable Desktop composition, etcetera. For a more efficient start up time, type ‘msconfig’ in the start menu’s search field, and then run the application. After that, click ‘Startup’ option and remove all the software that are not needed or frequently used which run at startup. This saves battery power, as well as off-loads the CPU. Following the above mentioned optimization techniques, you will have a better and happier Windows 7 experience on your netbook.